Consumers care about what’s on their label, and regulation has been following the trend. Along with other label-changes coming up next year, there is a focus on bioengineered food. Starting in January 2020, bioengineered foods must be disclosed on the label. The Bioengineered Food Disclosure Labeling (NBFDS or Standard) law was passed in 2016, with instructions for the USDA to begin implementing it. What counts as bioengineered food? Although this definition includes some GMO or GE (genetically engineered) foods, it does not cover all. How this labeling will affect the public opinion of bioengineered food and GMOs has yet to be determined, but this study suggests it may have a positive outcome. For these foods, records must be maintained, and the ingredients must be disclosed on labels via text, symbol, electronic or digital link or text message. When does this all go into effect? As with any labeling requirement, don’t wait until the last minute to get started. In today’s baking industry, you can’t escape bioengineered foods. Without fully understanding the requirements and nuances, you open your brand up to unnecessary problems. To help you know the ends and outs of this regulation, and next steps to take, AIB International is offering a how-to webinar. You can join in a conversation about bioengineered foods and how to correctly disclose their presence on your package label. Whether you’re a labeling professional, product developer, food company management, dietitian or graphic designer, you’ll benefit from this course. 2020 may feel a long way off, but there’s a lot to prepare to be in compliance. Get started now on finding the best way to prepare for bioengineering food labeling. 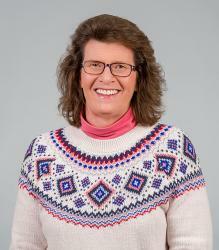 Elaine Meloan, Food Labeling manager, has been with AIB International since 1985. She is a graduate of Kansas State University with a degree in food science and industry. In addition to generating labeling information, she advises clients on regulatory and compliance issues. She has made numerous presentations on food labeling at a variety of AIB seminars and is the editor of “Food Labeling–Requirements for FDA Regulated Products,” as well as the co-author of several AIB Technical Bulletins. She is a member of AACC International and the Food Technical Regulatory Affairs Committee of the American Bakers Association.